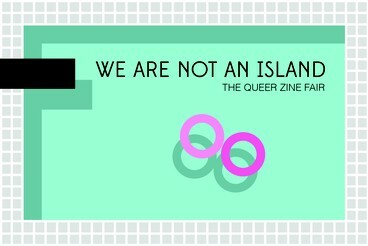 Through the creation and exhibition of zines, comics, books, posters, and other printed matter, WE ARE NOT AN ISLAND Queer Zine Fair seeks to provide a safe, accessible, and inclusive space for the exchange of capital – both financial and social, encouraging reinvestment in individual practice and diversifying experiences in and for the local queer landscape. The fair is a two day event, occurring in the basement of the #1 Legion on June 24 and 25. The event is organized and curated by Bronson Smillie and Samuel Dyer, two local queer artists aiming to showcase the work of self identified queer-folk and other traditionally marginalized members of the Calgary creative community. Presented in partnership with Fairy Tales Queer Film Festival.